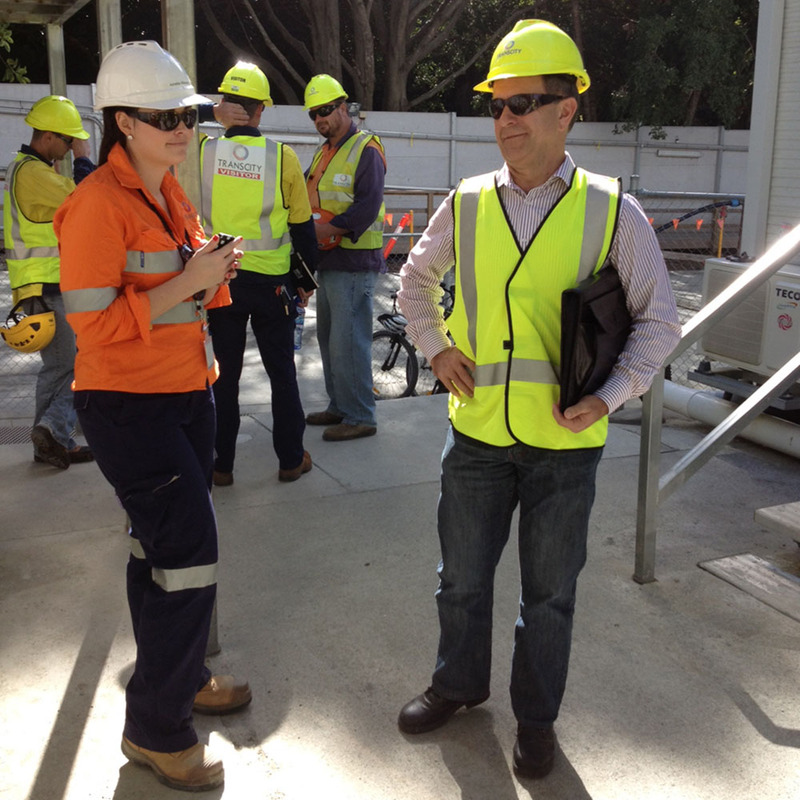 Joyce break through event for the Legacy Way Tunnel - Brisbane. Drilling a tunnel under a major city is no small task, and every milestone involves hours of planning, consultation and eventually celebrating. Marketing departments that have time sensitive messages rely on suppliers to deliver on time no matter what the job. 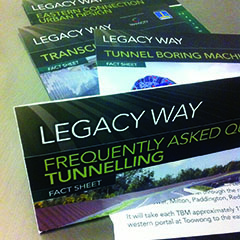 Centenary motorway signage -47m x 15m using sailtrack with vinyl banners. Breakthrough celebration banners - 18m x 12m for Joyce and Annabel the giant drilling worms to rip through. Bridge to Brisbane team singlets - embroidered with stakeholder logos.